We were lucky enough to be a part of a Carlton Captain Marc Murphy & Jessie Habermann’s sensational wedding. It was absolutely pouring with rain, however nothing could put a damper on this glorious day. Marc & Jessie have decided to keep their wedding highlight private, however here is a sneak peak of all the styling from the day, put together by the talented Bianca & Bridgett from Melbourne Stylists. Surrounded by her nearest & dearest, Jessie started the morning at Crown Towers. Her flawless make-up look was created by Monica Gingold and her impeccable hairstyle was courtesy of the team at Rokk Ebony. She then made her way to a nervous yet excited Marc, who was waiting for her at Luminare in South Melbourne. This venue really is the cream of the crop for Melbourne wedding venues. It’s chic & classy design just exudes elegance and sophistication. After the ceremony and some family photos, Marc & Jessie danced and laughed the night away with their closest friends and family! 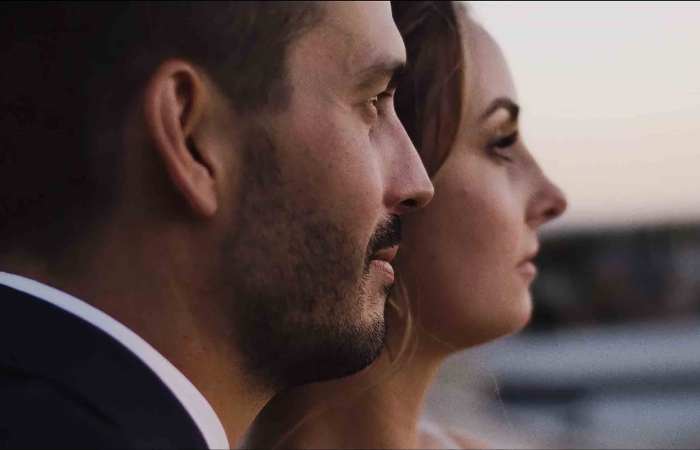 It was such a privilege to be a part of Marc & Jessie’s special day and to produce a video for them that they will be able to watch for many years to come!